In line with yesterday’s reports that Microsoft’s Surface distribution strategy will expand, the company has officially announced its plans to ramp up production of Surface, while expanding it to “additional retailers” in the United States and Australia by mid-December. In addition, Microsoft has also shared that its holiday stores will be extended beyond the holidays, several of which will transition into permanent Microsoft retail outlets. Previously, we had heard that both Best Buy and Staples will carry Surface units, and while Microsoft has yet to make an official announcement, both retailers are likely on the company’s short list. Adding together holiday promotions and new availability across the US and Australia, it’s clear that Microsoft is still hoping strong holiday sales will meet its young tablet. Steve Schueler, the corporate vice president of Microsoft Retail Sales and Marketing, states that Microsoft had originally planned to expand its retail presence after its first year, but now, Microsoft is citing “interest from retailers” as its reason for allowing them to carry Surface with Windows RT early. 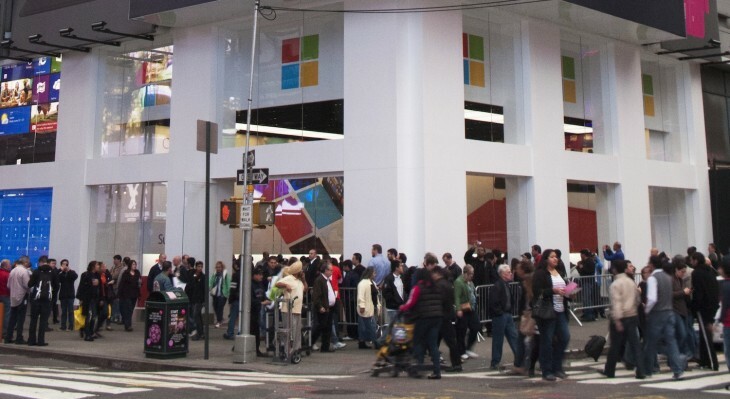 As we’ve detailed, Windows 8 and the Surface are said to be behind Microsoft’s projections. With that in mind, it’s hardly surprising to see Microsoft accelerate its roll-out to partners.